Share our emails with your friends! 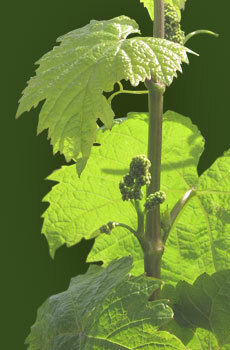 So what's going on this Spring in our Lehigh Valley vineyards? Pruning. Planting. Bottling varietals in our wine cellars. It's a busy, busy time of year for the wineries of the Lehigh Valley. As Mother Nature sheds her winter cloak and buds burst forth on our beautiful grape vines, we are proud to celebrate the 5th Anniversary of our AVA Lehigh Valley wines. Many of the wines we are bottling bear the Lehigh Valley name on their labels meaning that most of the ingredients are grown right here in our own backyard! 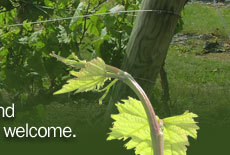 We invite you to come out and see the buds bloom on our vines, taste the new 2012 vintage of our Lehigh Valley wines and enjoy our spring events! Mark your calendars for our weekend-long Wine in Bloom Weekend, Saturday and Sunday, May 18th and 19th. 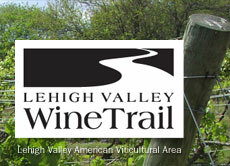 Check www.lehighvalleywinetrail.com for all the details.